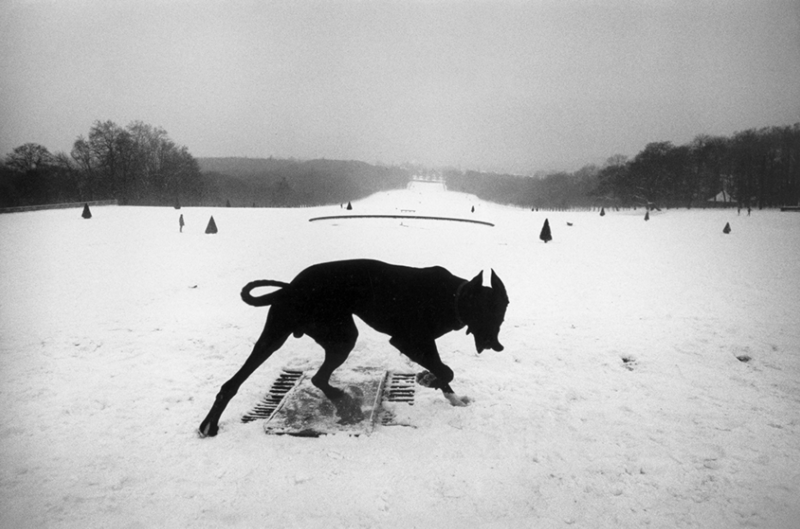 Josef Koudelka has been focusing an empathetic eye on the human condition for nearly six decades. 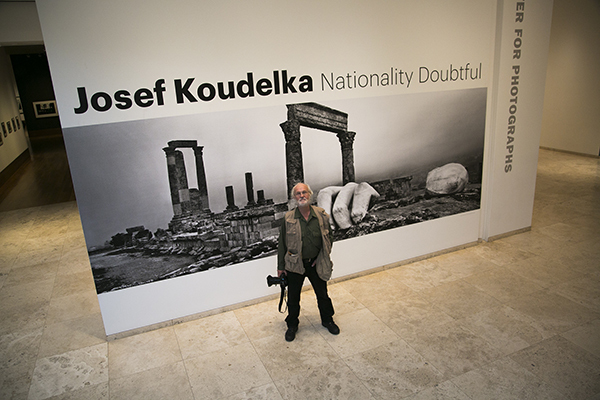 The new exhibition Josef Koudelka: Nationality Doubtful presents a sweeping overview of his work, including poignant photographs of Roma (Gypsies), electrifying documents of the Soviet invasion of Czechoslovakia in 1968, and massive panoramas of conflict-altered landscapes, most recently from his project Wall on the West Bank barrier and the land that surrounds it on both sides. He spoke to us during the final moments of preparation for the exhibition. I know what I want to do and I do it. And I’ve created conditions so I can do it—I’ve been doing it for 45 years. People who do assignments are being paid and they are supposed to do something. I want to keep the freedom not to do anything, the freedom to change everything. You know, people ask all the time why I photographed gypsies. I’ve never known. I’m not particularly interested to know. Annelisa Stephan: You’ve talked about having “the eye.” What does that mean? When you look at something and think, this is right. AS: So it’s a feeling? I’d just gotten back from Romania, where for months I was photographing Gypsies, and my friend called me and said, “The Russians are here.” I picked up the camera, went out on the street, and I photographed just for myself. I’d never photographed events before. These pictures weren’t meant to be published. Finally they were published one year later, which is interesting, because they weren’t news anymore. I ran around Paris; I had to photograph everything. I realized that with this camera I could do something I’d never done before. The panoramic camera helped me go to another stage in my career, in my work. It helped me to remain interested in photography, to be fascinated with photography. I’m going to be seventy-seven. When I met Cartier-Bresson, he was sixty-two. I’m 15 years older than Cartier-Bresson was then. And at that time Cartier-Bresson was stopping his work with photography. That’s up to you [laughs]. I’ve been traveling 45 years without stopping, so of course things have happened to me that weren’t right. But even “bad” people behave a certain way because you don’t give them the opportunity to behave well. When you start to communicate with somebody, things go a different way. Have a look at the Russian soldiers [in my photographs of the Soviet-led invasion of Prague]. Okay, they were invaders. But at the same time, they were guys like me. They were maybe five years younger. As much as it might sound strange, I didn’t feel any hatred toward them. I knew they didn’t want to be there. They behaved a certain way because their officers ordered them to. I become friendly with some of them. In a normal situation, I’d have invited these guys to have a drink with me. I can’t say I met one bad person [while photographing] in Israel either. Once I was in East Jerusalem with a photographer friend who went with me. We were planning to eat sandwiches under the trees. Suddenly, soldiers ran over with guns. One of them hit and broke my camera. But when I looked in his face, he had the same fear as the Russian soldiers in ‘68. I’m sure if I’d had the opportunity to talk to this guy, he would never have done that. We are all the same. And we are composed from the bad and the good. I wouldn’t talk about the photographs. No, I try to separate myself completely from what I do. I try to step back to look at them as somebody who has nothing to do with them. When I travel, I show my pictures to everybody—to see what they like, what they don’t like. A good photograph speaks to many different people for different sorts of reasons. And it depends what sort of lives these people have. What they’ve gone through. It happens very rarely that you see something you can’t forget. That is a good photograph. LH: What’s the role of the professional photographer today, when everyone is empowered to take photographs? I think it’s wonderful that everybody can take photographs, just like I think it’s wonderful everybody can write. But there are very few writers and there are very few photographers. Everybody has a camera, everybody can press the button. Everybody has a pencil, everybody can make a signature. But that doesn’t mean there are many great writers and it doesn’t mean there are many great photographers. 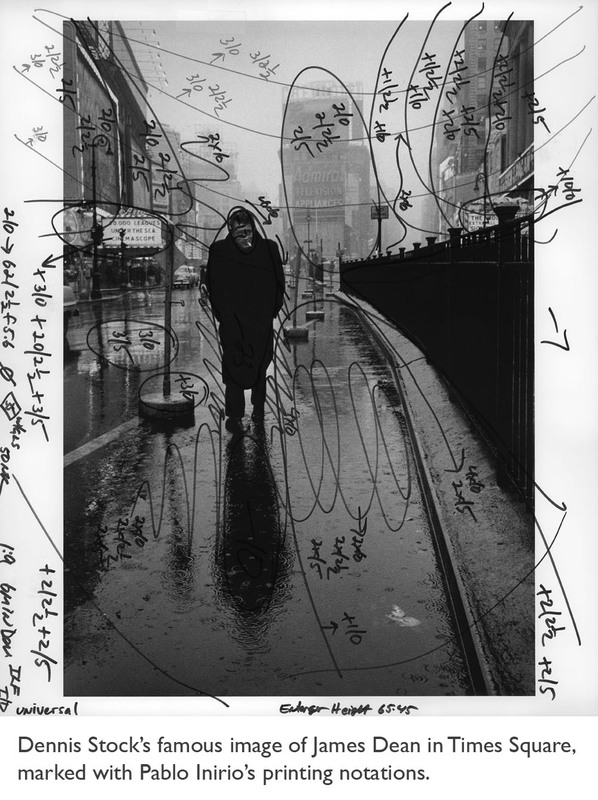 AS: What do you see as the difference between photography and art? I’ve only said I’m am artist once—when I nearly got into trouble in Algeria [laughs]. If I said I’m a photographer, I would really get into trouble. If you’re artist, you’re all right. AS: Why don’t you call yourself an artist? I’m a photographer, that’s all. Like anything else, not all paintings are art. Not all photographs are art. They might be, but it’s not up to me to say. 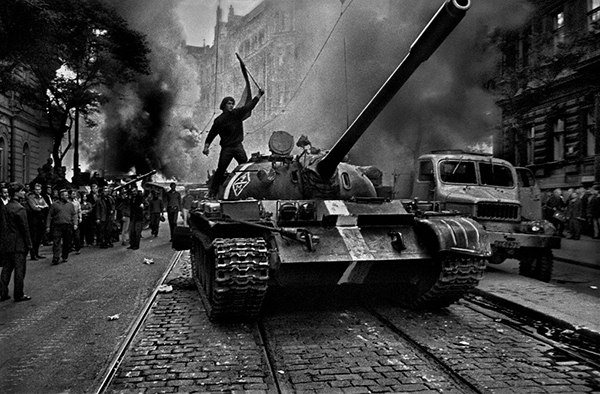 Magnum’s archive represents some of modern history’s best and boldest photojournalism. 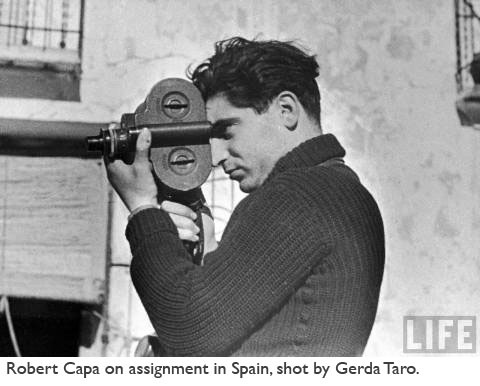 Its photographers have been at the front lines for over six decades, ever since, in an effort to gain more rights for photographers, the flamboyantRobert Capa brought together an unlikely group of friends in 1947 to start a photographer-run collective. 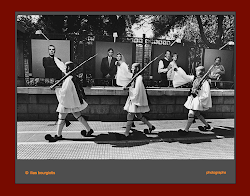 In 1947 alone, the small group delivered work on Gandhi’s assassination, the foundation of Israel and life in the Soviet Union at the start of the Cold War. Since then, Magnum has continued covering world history with passion and visual flair. Last week, members Alex Majoli and Paolo Pellegrin won prizes in the 2012 World Press Photo Contest, for an image of shouting protesters in Tahrir Square and a photo-essay on post-tsunami Japan, respectively. The first commercially available color photographic process, Autochrome, was introduced in the United States in 1907. 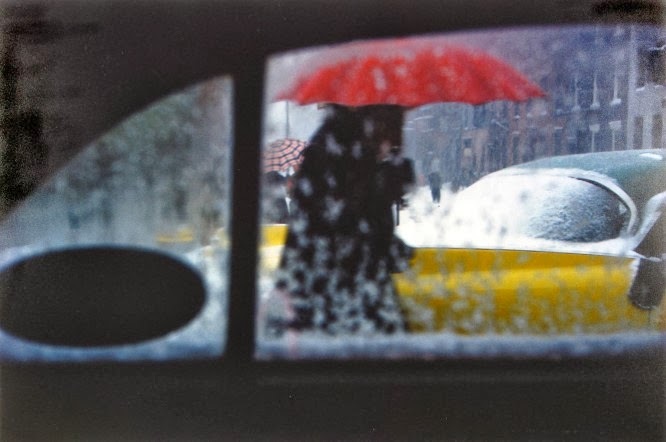 Alfred Stieglitz and George Seeley soon began experimenting with it, but it was not until the nineteen-fifties that color photography began to come into its own as an artistic medium, in the work of Ernst Haas, Helen Levitt, and others. 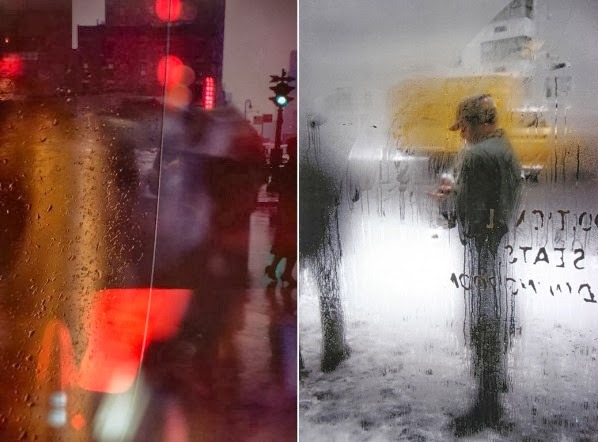 This was the generation of the photographer Saul Leiter, the Pittsburgh-born son of a Talmudic scholar, who photographed the streets of New York City for six decades and died this week at the age of eighty-nine. 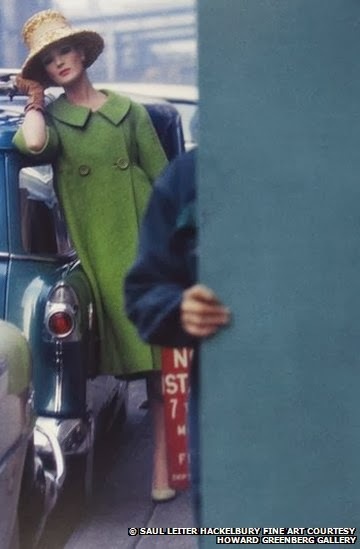 Leiter was perhaps the most interesting of the fifties color photographers in his use of form. His bold chromaticism, off-center composition, and frequent use of vertical framing attracted attention—the work reminded people of Japanese painting and Abstract Expressionism—and he was included in “Always the Young Strangers,” an exhibition curated by Edward Steichen at the Museum of Modern Art in 1953. 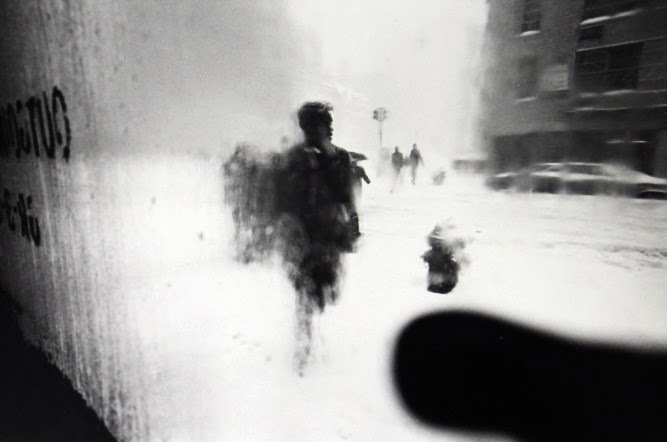 But Leiter didn’t court fame, and though he continued to work, his photographs almost vanished from public view. 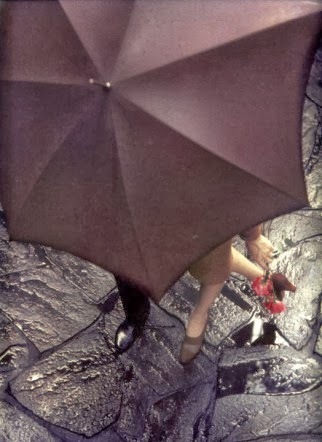 Then they came back to light in 2006, with “Saul Leiter: Early Color,” a monograph published by Steidl. The book brought him belated recognition, gallery representation, a stream of publications, and a new generation of fans. Color is in the mainstream of photographic practice now. It is essential to the inspired street work of Gueorgui Pinkhassov and Joel Meyerowitz, the large-format portraits of Rineke Dijkstra, the architectural views of Candida Höfer, the personal journalism of Nan Goldin, and the stately landscapes of Andreas Gursky. But for a long time, it was considered superficial and suspect. 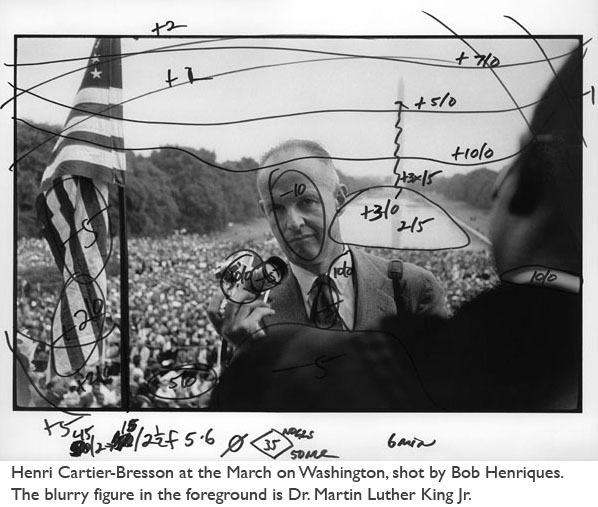 Henri Cartier-Bresson was firmly against it on the grounds that it interfered with formal priorities. John Szarkowski, the director of photography at the Museum of Modern Art, dismissed most color photography before he began championing William Eggleston’s in the nineteen-seventies. 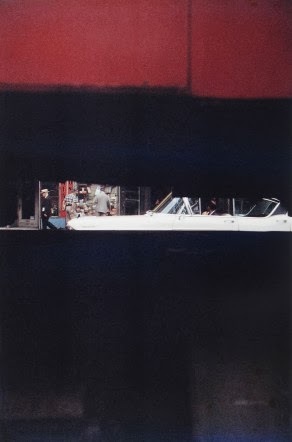 This was the milieu—which, if not hostile, was not exactly encouraging—out of which Saul Leiter created a series of breathtaking, almost miraculous, photographs. He shot Kodachrome slides, and many of them were not printed until decades after they were exposed. One of the most effective gestures in Leiter’s work is to have great fields of undifferentiated dark or light, an overhanging canopy, say, or a snow drift, interrupted by gashes of color. He returned again and again to a small constellation of subjects: mirrors and glass, shadows and silhouettes, reflection, blur, fog, rain, snow, doors, buses, cars, fedoras. 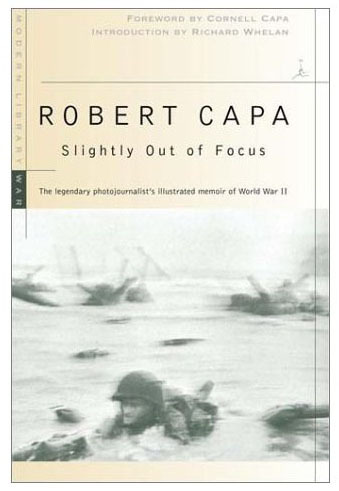 He was a virtuoso of shallow depth of field: certain sections of some of the photographs look as if they have been applied with a quick brush. It will come as no surprise to a viewer of his work that Leiter was also a painter, that his heroes were Degas, Vuillard, and Bonnard, and that he knew the work of Rothko and de Kooning well. 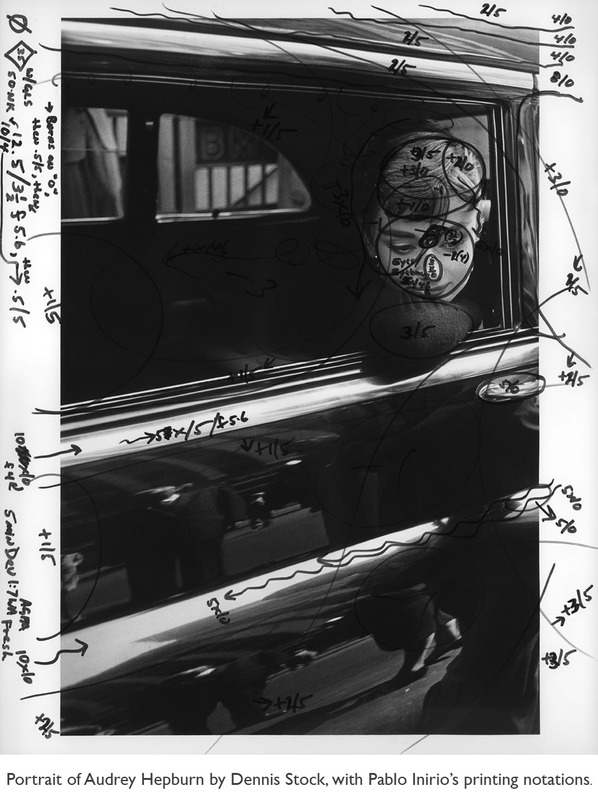 There are points of contact between his work and that of photographers like Louis Faurer and Robert Frank, the so-called New York School; but Leiter was an original. He loved beauty. To make a living, he photographed fashion spreads for Harper’s Bazaar and Vogue, and the levity of his commercial work seeped into his personal work. 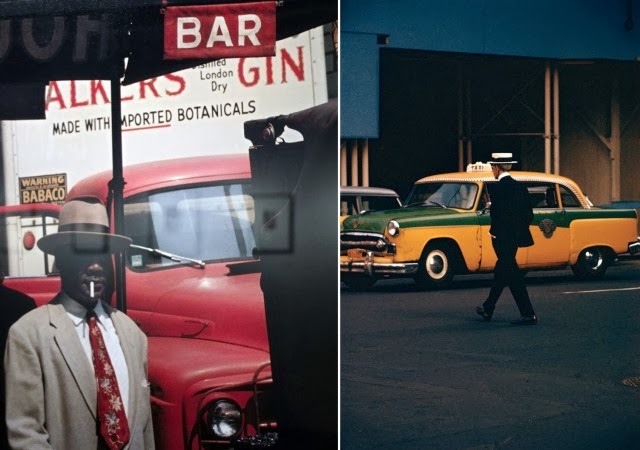 Undoubtedly, the charm of some of Leiter’s pictures lies in the fact that they depict fifties places, fifties cars, and fifties people (we rarely dress so well today), and that the analog reds and greens are more moving, somehow, than what our own digital cameras or streetscapes can offer up. But pictures such as “Through Boards” (1957), “Canopy” (1958), and “Walking With Soames” (1958) would be winners in any era. They are high points of lyric photography which, once seen, become—like all the best pictures and poems and paintings—a permanent part of our lives.